" Lyrically this band has a lot to say. ‘I Want You To Say’ is a great example of why I’m confident that this band has a lot of potential"
LUCKY PUNKS are Adam Pizey (Drums, Vocals), Ross Kelly (Guitar, Lead Vocals), Tom Harrison (Bass) and Cameron Smith (Guitar, Keys, Vocals). Growing up on their parents’ record collections, the boys from Bucks were raised on a diet of baked beans and great British bands. They cite a wide-ranging list of influences, from The Kinks to Duran Duran. With elements of mid-90s Britpop, proto-punk and gritty New Wave, their Albarn-esque witticisms and driving guitars combine to form a captivating live performance. Having originally met at school whilst in other bands, fate caused Adam, Ross and Tom to come together whilst at university in the North East. 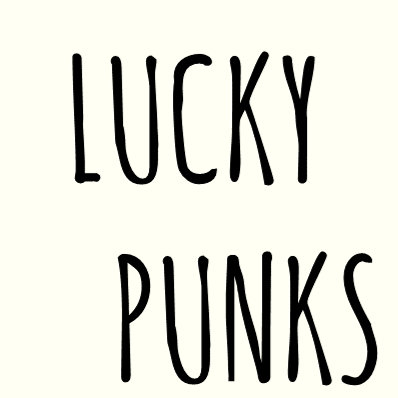 With their line up now complete with Cameron, LUCKY PUNKS are making waves with their unique, but unmistakably British sound.